Xanax addiction is a serious problem for a lot of people who take this medication regularly and become dependent on it. If you are concerned that you or a loved one might have a Xanax addiction, it's important to understand how this medication works and why it might become addictive. Xanax is a drug in the benzodiazepine family that is used to treat anxiety and panic disorder. 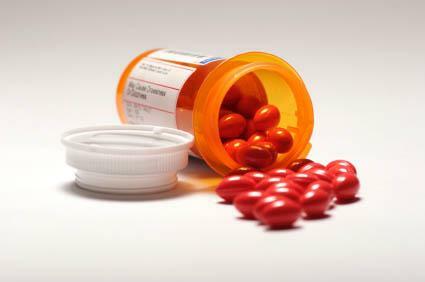 It is a prescription medication that interacts with the nervous system as a tranquilizer. The medication typically makes users feel calm, relaxed, sleepy or any combination of these feelings. For people who regularly experience a state of panic, Xanax helps create feelings of normalcy and the ability to cope with everyday situations. However, the drug is also widely abused. Many people use it on a daily basis or recreationally, and many individuals take a higher than prescribed dose and develop a tolerance for the drug. When this happens, even higher does are needed to produce the same effect, and the body begins to rely on the drug. Other people who abuse Xanax include people who have no medical need for the medication. They mix it with other drugs or alcohol simply to get high. This is a dangerous combination that can result in long-term side effects or even death. Do You Have a Xanax Addiction? You notice you have a physical need for the drug and cannot function without it. You crave the benefits of the drug and are overcome by the desire to take it. You need a higher dose to get the same calming effect. You feel increasingly depressed or anxious without it. You feel shaky or sick when you try to stop taking it. You spend a lot of time thinking about the drug and how to get it. If you think you may have a Xanax addiction, the next step is to talk to your doctor or a loved one about your concerns. Ask for support and treatment, and be honest about the problem before it gets worse. Taking the vitamin B3, which contains niacinamide - This chemical was found to have the same or stronger effects than benzodiazepines for producing anti-anxiety effects. Taking the herb Kava Kava, an alternative for anxiety and stress relief - Note that Kava Kava is not FDA approved and should not be combined with Xanax since it can enhance that medication's effect on the central nervous system. Taking too much Kava Kava can interfere with daily living. Always consult your physician before taking herbal supplements. There are ways to control anxiety and keep it from overtaking you. Whether you choose a medication, such as Xanax or Valium, or an alternative method, make sure you do everything possible to avoid the pitfalls of addiction.